Place all phones in a pile at the center of the dinner table. Set all phones to ring. The first one to receive a phone call loses. Typically, the loser has to pay the bill. I played a variation of this with my family on Sunday. 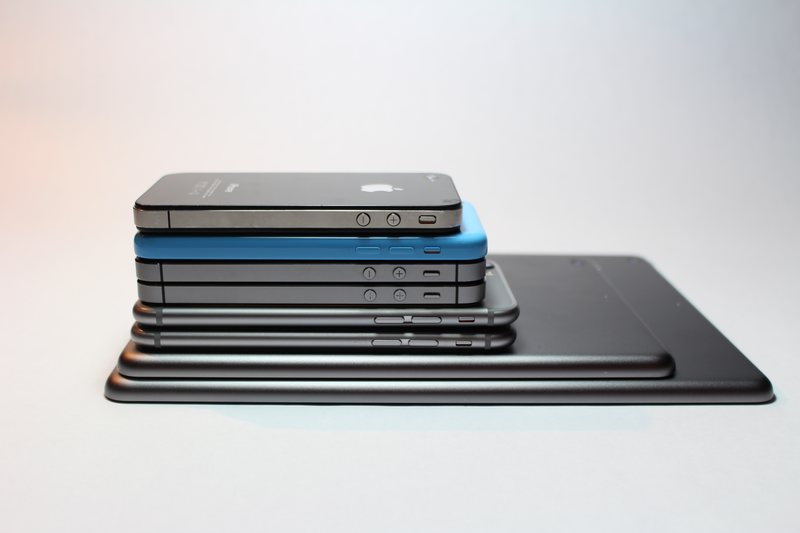 We kept up with tradition by piling our phones in the center of the table, equidistant from the five of us—i.e. within arm’s reach. That being said, we did tweak the rules a bit. The first one to touch the pile would lose. Our phones were in full-view allowing their full range of audible pings, dings, and flashes the chance to assail our senses. This was more of a self-control exercise than anything else. “Huh?” A moment passes. “Uh, no why?” Nose deep in a flurry of Instagram stories, Jess took a second to register my question. Nate looks over her shoulder and half reminisces over old photos and half absorbs the deluge of news from her feed. The waitress comes and finds almost all of us engrossed in our phones. I was not free from guilt. “Okay,” I interject as if I were cutting someone short. The table was and continued to be silent, save the tapping of thumbs. “Let’s put our phones in a pile and the first one to touch the pile pays.” My suggestion was met with little audible resistance. I’ve repeatedly harped on about the shortcomingsof social media and its addictive nature so that my family knew I had indefatigable stats to back up why I would insistwe play this fun little social experiment of a game. With a smug grin, I take it upon myself to sandwich the phones in a central location. It was true. For someone who checks her email constantly and requires a battery pack, lest her phone meet an untimely power down, she oft-abandons her phone. Perhaps it’s her way of keeping it at an arm’s length when it gets too suffocating. Consciously or not, maybe she doing a “phone detox.” In any event, that just left the four of us contending. I began to notice our eyes darting to the pile in the few minutes before our drinks came. Our hands ached to be occupied and it showed. Our phoneless composure was betrayed by tight squirrely movements and antsy fidgets. By we, I mean my sister, Nate, and I. Mom bantered and Dad power napped. Thanks to the waitress’ reprieve, I was able to swirl my cocktail and move my focus to something, quite frankly, not entirely less harmful. It wasn’t the best Vesper I’ve had. They didn’t use (nor did they have any) London dry gin, the balance among the three spirits was slightly off, and they used a lemon wedge instead of its rind. At least they had Lillet. After an introductory buzz ushered in by my martini and the shared appetizers, I almost lost the game. My hand instinctively reached out to my phone to log my food and drink intake. I recoiled just short of having to foot the bill. It was habitual. Eat, drink, log. It was only when I came back into myself that I stopped just short of having to redo my monthly budget. We stayed near a national park for a family excursion to learn to unplug and recharge through a variety of activities including hiking, biking, and the like. It was funny to see the sharp contrast between having no service on the trail to all of us being preoccupied with our phones during WiFi-enabled meals. Admittedly, it is tough for anyone of any age to fully disengage with his or her smartphone because we are so used to being busy. We are so used to doing something, anything, that often times we act like being bored is the worst thing that can befall us. In our digital age, I see a long road to relearning how to be content.